No one has ever accused Tyler Perry of being short on ideas. After all, the prolific writer/director has been the brains behind a profusion of plays, movies and television shows. But he would be the first to admit that he was not the source of inspiration for Boo! A Madea Halloween, the ninth in the Madea series revolving around the sassy, sermonizing granny. Rather, the idea originated with Chris Rock, who featured a fake poster for a film with the identical title in his 2014 comedy Top Five. Because the joke went viral, Tyler decided why not get back in drag and make a movie to meet the demand generated by the buzz. But Boo! 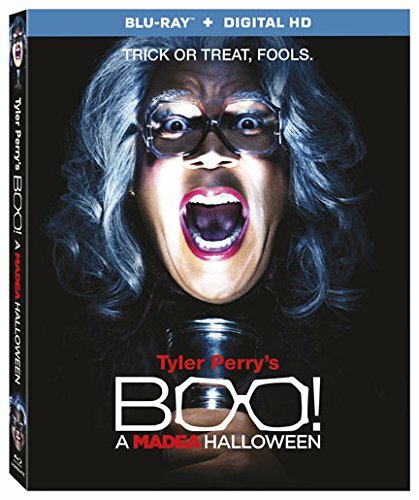 definitely has a different feel from the previous Madea movies in that it is less your typical Tyler Perry morality play than a rudderless, kitchen sink comedy seizing on any excuse for a laugh. For, the Madea found here is no longer that Bible-thumping role model reliably interfering on behalf of an underdog in distress. Yes, one minute, she's might be promoting old-fashioned values. However, there she is in the next scene exposing her breasts to lecherous frat boys. The film does feature a rudimentary plot revolving around Madea's 17 year-old grand-niece, Tiffany (Diamond White). Note that the premise is established at the point of departure and promptly abandoned. It's Halloween, and the headstrong high schooler and her girlfriends hope to attend an "epic" party being thrown at Upsilon Theta frat house. Since her divorced father (also played by Perry) will be otherwise occupied, it falls to Madea to babysit Tiffany, to make sure the rebellious teen never leaves the house. Made arrives with an entourage of amusing misfits, including marijuana-addicted Aunt Bam (Cassi Davis), marble-mouthed Hattie (Patrice Lovely), and old fool Uncle Joe (also played by Perry). 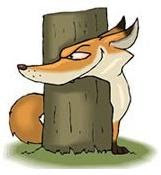 Soon, silly Halloween-themed one-liners, non sequiturs, slapstick and sight gags start flowing at a fast and furious rate that will undoubtedly be appreciated by the target, African-American audience. Yet, many of the punchlines are just as likely to be lost on those unable to decipher the often-inscrutable ebonics-laden exchanges. Brace yourself for the specter of self-righteous Madea serving up street justice to clowns, collegiates, ghosts and goblins! Blu-ray extras: "Boo! From the Crew montage; and Why We Love Madea! featurette.